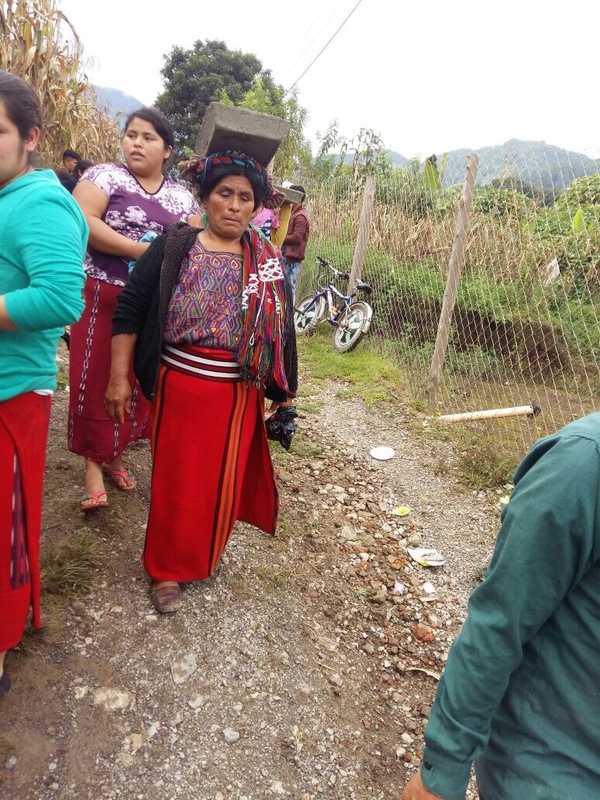 The primary focus of our club’s recent trips to the Guatemalan Highlands was in Nebaj area in the Ixil Triangle. For the last third of the 20th century, the area was ravaged by a bitter civil war, and many of its residents are sustenance farmers, plowing with oxen and planting with sticks in villages accessible only by mountainous, rutted, dirt roads – many of which the Milwaukeeans traversed. The travelers were careful to listen to the needs expressed by Guatemalans rather than make offers of help without consultation. 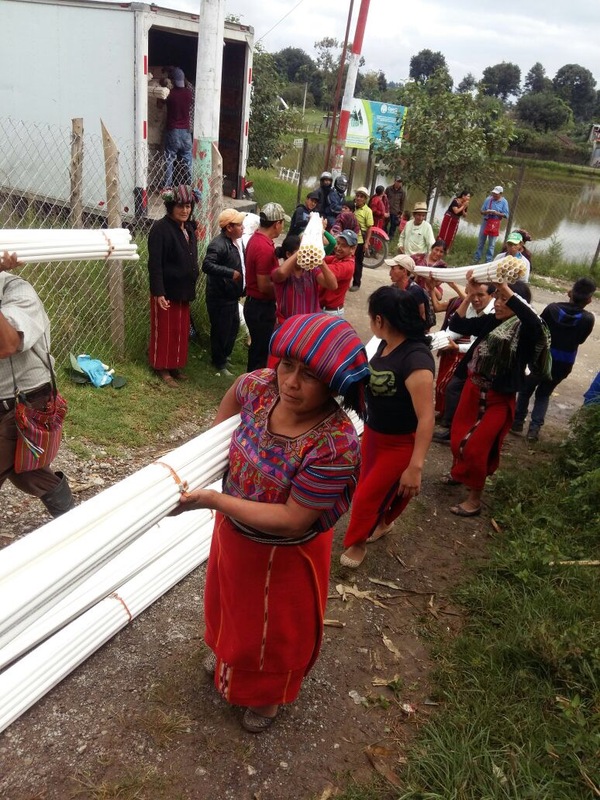 La Laguna, a village in Nebaj, asked for help in addressing two critical issues: they want a reliable water system that is under their community’s control, and they want access to education for sanitation and health. Rotary members during the most recent trip to Guatemala. Our club members decided to take this on and, under the capable leadership of Jerry Stepaniak, put together a Global Grant proposal which combines money from local clubs with district funds and dollars from Rotary International. The total value of the grant is just over $50,000. $20,000 came from the International Project Fund of the RCM Community and direct donations from our members. The balance was contributed by Rotary International and our district. This Global Grant will build a gravity fed potable water distribution system in the village of La Laguna. This grant will also construct handwashing stations and toilets at the community’s two schools and offer water and sanitation hygiene (WASH) education. 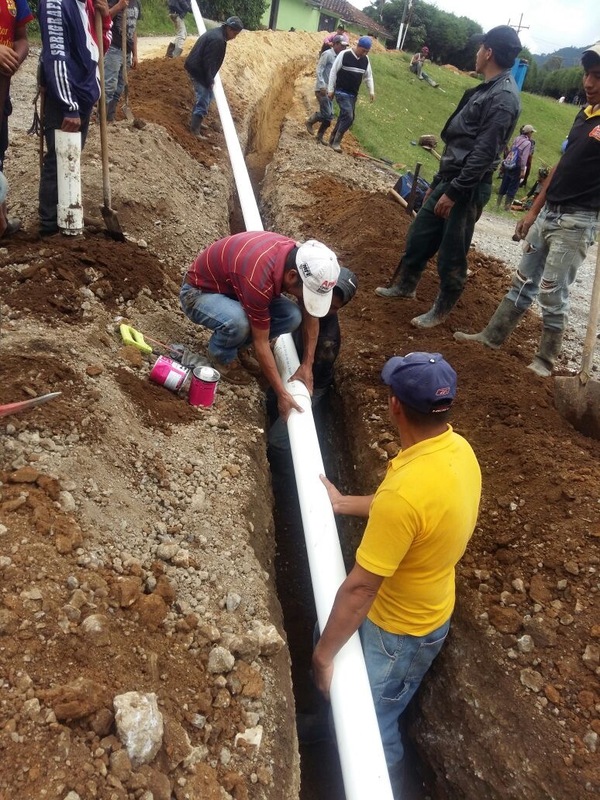 The potable water component of the project will include a conveyance pipeline, chlorinator, distribution pipelines, and a tap with a valve box and flow reducer to most of the 550 La Laguna homes. The WASH construction component will install an 8-tap Handwashing Station and 5-cabin toilet with septic tank at La Laguna School, and upgrade the handwashing station and toilets and install a concrete floor in the classrooms at Jalechi School. A WASH education program at the two schools will address sanitation not only specific to the use and maintenance of new toilets and handwashing stations, but also regarding their changed lives at homes that now have running water. The curriculum will support proper operation and maintenance of the home taps, and also include water conservation. The WASH education will also focus its attention on proper hygiene and how the availability of water and its use can help prevent disease. This Global Grant will continue a successful collaboration with the Guatemalan NGO la Asociación de Comités Comunitarios Medio Ambiental de la Región Ixil (ACCMARI), the municipality of Nebaj, communities in the Ixil Triangle of Guatemala, the University of Wisconsin-Milwaukee (UWM) College of Engineering and Applied Sciences (CEAS), and Masters of Sustainable Peacebuilding (MSP) staff and students, in addition to the Rotary Club of Milwaukee (RCM) and the Huehuetenango Rotary Club (GHH). Construction is well under way! The men, women and children of the community pitch in alongside the hired labor to dig trenches and lay pipe.